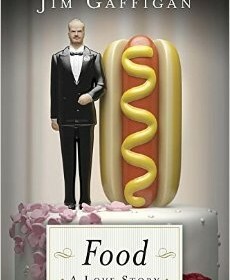 Hamburgers, cake, Hot Pockets, french fries, and bacon are just some of the things comedian Jim Gaffigan writes about in his new hilarious book, Food: A Love Story. The story is about how Jim travels around the country eating. He also has the tendency to over exaggerate the way the food looks, tastes and feels. Also, he explains how his eating habits get in the way of not only his marriage but also how it affects his kids growing up. He has a funny way of saying things, for example, “What are my qualifications to write this book? None really. So why should you read it? Here’s why: I’m a little fat. If a thin guy were to write about a love of food and eating I’d highly recommend that you do not read his book.” Jim doesn’t only tell priceless stories, but he will also teach you a thing or two.